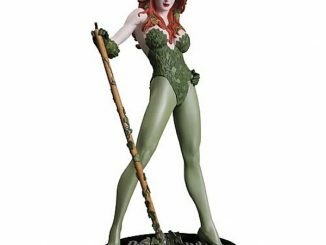 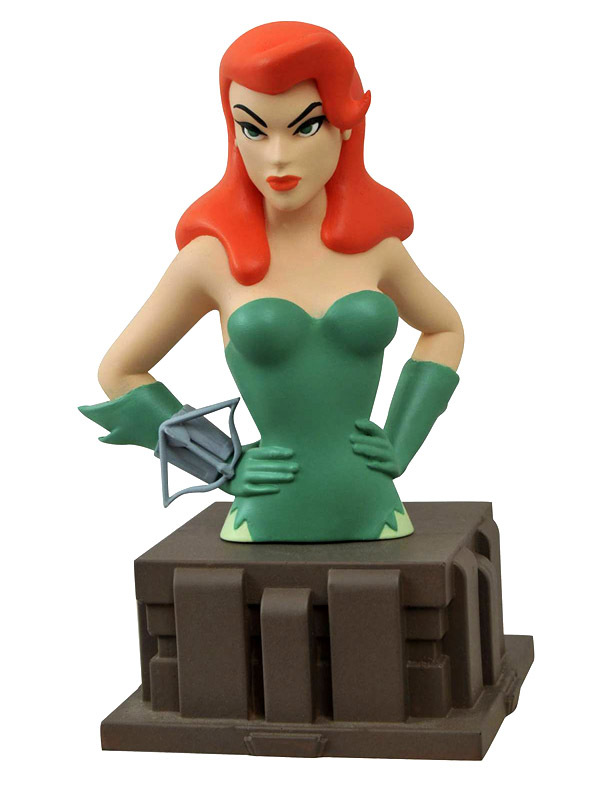 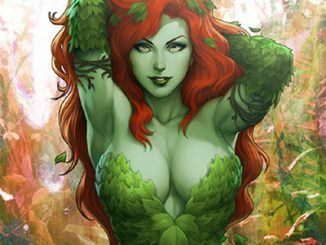 The ultimate eco-warrior comes to life with the Batman Animated Series Poison Ivy Bust. 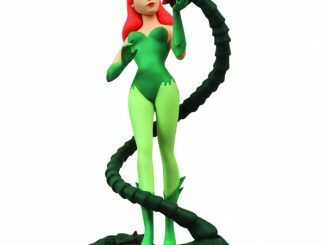 Based on Bruce Timm’s animated vision of the plant princess of Gotham City, Dr. Pamela Isley’s poisonous alter-ego is depicted wearing her eye-catching green leotard and mini-crossbow on her wrist… which is what all the fashionable super-villains are wearing these days. 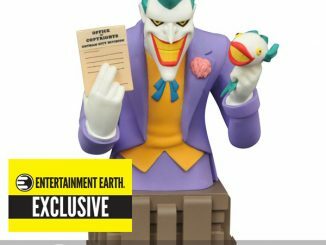 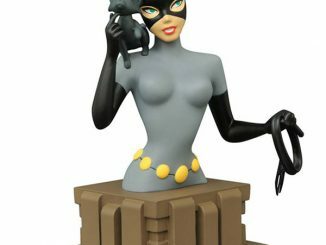 Just like with the Batman and Harley Quinn busts, the base resembles the animated stylings of the buildings seen in Batman: The Animated Series. 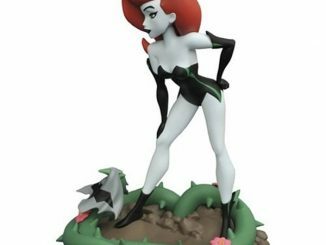 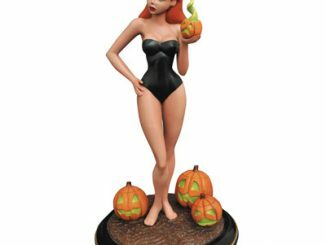 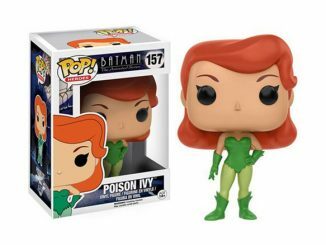 The Batman Animated Series Poison Ivy Bust will be available December 2015 but it can be pre-ordered now for $54.99 at Entertainment Earth.